The offshore wind pioneer pushes the boundaries once again as it announces the wind industry’s first commercially available double-digit wind turbine – the V164-10.0 MW. The offshore wind industry’s long-anticipated, double-digit barrier has been broken. MHI Vestas Offshore Wind, in a stunning announcement at the Global Wind Summit in Hamburg today, has made it official – its V164 turbine platform has now achieved a power rating of 10 MW. And the turbine is available for sale now. Perhaps most remarkable is that the barrier-breaking model is built on proven technology and lessons learned from previous installations of the V164 platform, promising a level of certainty and reliability for customers of the V164-10.0 MW from day one. With more than 100 V164 turbines already installed in the UK and Germany, MHI Vestas has been able to leverage technological learnings and incremental innovations to push the boundaries of its flexible platform from 8 MW now up to 10 MW. 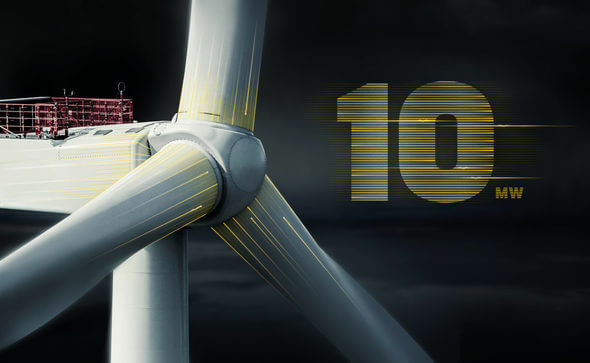 The 10 MW turbine underscores the commitment of MHI Vestas to provide the best possible business case to customers. Owing to the importance of reliability, the upgrades required to reach the new level are relatively small: the V164-10.0 MW incorporates a stronger gearbox, some minor mechanical upgrades, and a small design change to enhance air flow and increase cooling in the converter. The upgrades ensure that MHI Vestas can run the V164-10.0 MW at full power, at a site with wind speeds of 10 metres per second, for 25 years.